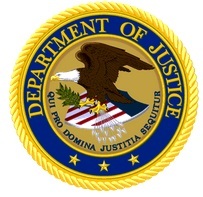 Ricky A. Lanier and his wife Katrina R. Lanier, both of LaGrange, N.C., have been sentenced to serve federal prison terms of 48 months and 30 months, respectively, for conspiracy to commit wire fraud, wire fraud, and major fraud against the United States. The couple were found guilty of these offenses on Dec. 17, 2015, following a 13-day jury trial in U.S. District Court. Their sentence was announced on Oct. 3, 2016. According to evidence presented at trial, the Laniers conspired from November 2005 to April 2013 to defraud the government through a scheme to fraudulently obtain federal contracts intended to be awarded to businesses lawfully participating in the Department of Veterans Affairs’ (VA) Service-Disabled Veteran-Owned Small Business (SDVOSB) program and the Small Business Administration’s (SBA) 8(a) Business Development program. Specifically, they falsely represented that JMR Investments was eligible as an 8(a) business and that Kylee Construction was eligible as an SDVOSB and an 8(a) business. Ricky Lanier, who had previously owned and operated an 8(a) business receiving government contracts, became ineligible to participate in the 8(a) program after that business graduated from that program in 2008. Lanier used a friend and service-disabled veteran as the purported owner of Kylee Construction, representing that the friend was involved in the daily management of the business, even while the friend was working for a government contractor in Afghanistan. The Laniers used a business, JMR Investments owned by Ricky Lanier’s college roommate, as a front to obtain construction contracts from the National Park Service and other federal agencies under the 8(a) program, misrepresenting the friend’s involvement in the management and operation of the business. The scheme also involved subcontracting out all or almost all of the work on the contracts in violation of program requirements. Ricky Lanier also defrauded the National Park Service in connection with a contract to replace a wastewater treatment facility at the Tremont Institute in the Great Smoky Mountains National Park, falsely representing subcontractor costs by over $400,000, resulting in the award of a $1.1 million contract for work on the project that was actually performed by a subcontractor for only $550,000. Lanier also fraudulently obtained a $1.3 million construction contract at the James H. Quillen VA Medical Center which had been set aside for SDVOSBs. As a result of the false representations, Kylee Construction was awarded over $5 million in government contracts and JMR Investments was awarded over $9 million in government contracts. The Laniers received almost $2 million in financial benefit from the scheme, using accounts of the shell companies for payment of personal expenses. 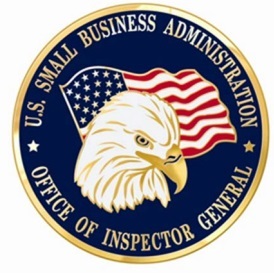 Law enforcement agencies participating in the joint investigation which led to indictment and subsequent conviction of Ricky and Katrina Lanier included the VA-Office of Inspector General (OIG), SBA- OIG; and Department of the Interior, OIG, with assistance from the U.S. Secret Service. Former Assistant U.S. Attorney Neil Smith and Assistant U.S. Attorney David L. Gunn represented the United States. Following a 13-day trial in U.S. District Court, a jury convicted Ricky Anthony Lanier, 48, and his wife Katrina Reshina Lanier, 43, both of LaGrange, N.C., of conspiracy to commit wire fraud, wire fraud, and major fraud against the United States. 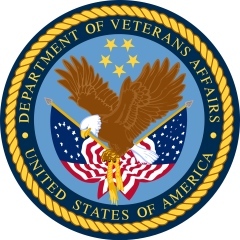 Together, they orchestrated a scheme to fraudulently obtain federal contracts intended to be awarded to businesses lawfully participating in the Department of Veterans Affairs’ Service-Disabled Veteran-Owned Small Business (SDVOSB) program and the Small Business Administration’s 8(a) Business Development program. We last reported on this case on September 15, 2014 (see: http://gtpac.org/?p=8302) when a federal grand jury indicted this couple. They pleaded not guilty at that time. Sentencing is set for 9:00 a.m., on June 20, 2016, in U.S. District Court in Greeneville. Ricky Lanier faces a possible sentence of up to 60 years in prison and $1 million in fines; Katrina Lanier faces a possible sentence of up to 50 years in prison and $750,000 in fines. The Laniers agreed to forfeit their interests in approximately $170,000 in funds seized from bank accounts as well as five houses in Kinston, N.C., purchased with proceeds of the fraud. According to the evidence presented at trial, the Laniers conspired from November 2005 to April 2013 to defraud the United States government through a scheme to fraudulently obtain federal contracts intended for SDVOSB and 8(a) firms. The scheme involved false representations that JMR Investments was eligible as an 8(a) business and that Kylee Construction was eligible as an SDVOSB and an 8(a) business. Ricky Lanier, who had previously owned and operated an 8(a) business receiving government contracts, became ineligible to participate in the 8(a) program after that business graduated from the 8(a) program in 2008. Lanier used a friend and service-disabled veteran as the purported owner of Kylee Construction, representing that the friend was involved in the daily management of the business, even while the friend was working for a government contractor in Afghanistan. The Laniers used a business owned by Ricky Lanier’s college roommate, JMR Investments, as a front to obtain construction contracts from the National Park Service and other federal agencies under the 8(a) program, misrepresenting the friend’s involvement in the management and operation of the business. 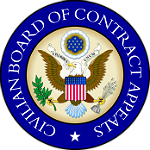 The scheme also involved sub-contracting out all or almost all of the work on the contracts in violation of program requirements. Among other contracts, Ricky Lanier defrauded the National Park Service in connection with a contract to replace a wastewater treatment facility at the Tremont Institute in the Great Smoky Mountains National Park, falsely representing that subcontractor costs were over $400,000 more than they actually were, resulting in the award of a contract for $1.1 million when all work on the project was performed by a Kodak contractor for $550,000. Lanier also fraudulently obtained a $1.3 million construction contract at the James H. Quillen VA Medical Center which had been set aside for SDVOSBs. As a result of the false representations, Kylee Construction was awarded over $5 million in government contracts and JMR Investments was awarded over $9 million in government contracts, to include contracts for construction at the VA Medical Center at Mountain Home, Tenn., and in the Great Smoky Mountains National Park. The Laniers received almost $2 million in financial benefit from the scheme, using accounts of the shell companies for payment of personal expenses. Law enforcement agencies participating in the joint investigation which led to indictment and subsequent conviction of Ricky and Katrina Lanier included the Offices of Inspector General of both the VA and the SBA, with assistance from the U.S. Secret Service. Four individuals pleaded not guilty last week to three counts of fraud involving federal contracts intended for 8(a) and service-disabled veteran-owned small businesses. A federal grand jury in Greeneville, Tennessee returned an indictment on Aug. 12, 2013, against Ricky Anthony Lanier, 47, and Katrina Reshina Lanier, 40, of LaGrange, N.C.; Latoya Montrevette Speight, 37, of Snow Hill, N.C.; and Emanuel Louis Hill, 47, of Louisville, Ky., for wire fraud, conspiracy to commit wire fraud, and major fraud against the United States. These individuals appeared in court on Sept. 9, 2014 before U.S. Magistrate Judge Dennis Inman and pleaded not guilty. All were released on bond pending trial, which has been set for Nov. 18, 2014 in U.S. District Court, in Greeneville, Tennessee. If convicted, they all face a term of 20 years in prison as to each wire fraud charge and up to 10 years in prison for the charges of major fraud against the United States. Additionally, they face fines of up to $250,000 and up to three years of supervised release as to each count. The indictment also seeks forfeitures of approximately $15 million as to the Laniers and Speight and approximately $5 million as to Hill. Details of this conspiracy are included in the indictment on file with the U.S. District Court, which alleges that the Laniers, Speight, and Hill conspired from November 2005 to April 2013 to defraud the United States government through a scheme to fraudulently obtain federal contracts intended to be awarded to businesses lawfully participating in the Small Business Administration’s 8(a) Business Development program and the Department of Veterans Affairs’ Service-Disabled Veteran-Owned Small Business Concern program. Court records state Ricky Lanier was an owner of Global Construction Inc. (GCI), which participated in the SBA’s 8(a) business development program from 1998 to 2007. Katrina Lanier and Speight worked at GCI. From 2001 to 2007 GCI received over $23 million in federal contracts. In 2007, however, GCI graduated from the 8(a) program and was no longer eligible to receive 8(a) set-asides. Kylee Construction, founded in 2005, originally had a mailing address of Emanuel Louis Hill’s father’s home, then a post office box opened by Ricky Lanier, and eventually changed to Hill’s home address. Between 2010 and 2013, Kylee Construction received over $5 million in contracts under the Department of Veterans Affairs program for small businesses owned by service-disabled veterans. Lanier also convinced a North Carolina-based company, JMR Investments, that he would handle all of their construction business. From 2008 to 2013, JMR received over $9 million in federal contracts designated under SBA and VA programs. This indictment is the result of an investigation by Department of Veterans Affairs Office of Inspector General, Department of Interior Office of Inspector General, Small Business Administration Office of Inspector General, and United States Secret Service, with assistance from the National Park Service and General Services Administration Office of Inspector General. Assistant U.S. Attorneys Neil Smith and David Gunn will represent the United States.